Gary Cypres who has a huge great baseball collection. 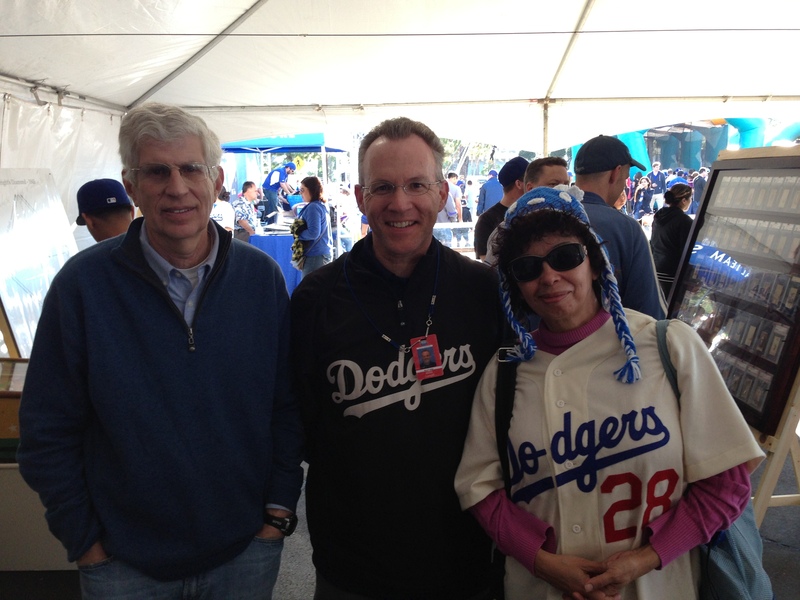 Dodger historian, Mark Langill in the middle. Picture at the Dodgers FanFest. 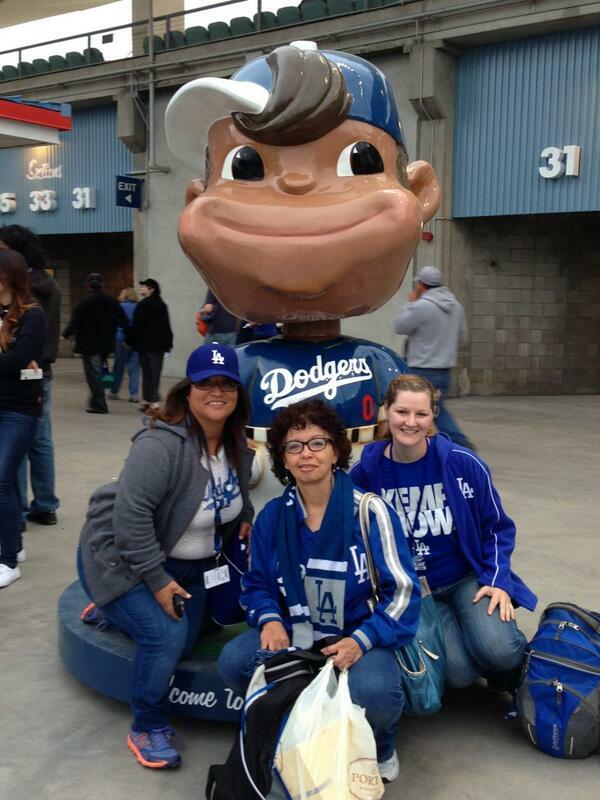 Lorena & Amanda at the first 2013 game at Dodger Stadium. Exhibition game with the Angels. Kershaw taking a curtain call after his Major League Home run in the 8th to take the lead 1-0. With Manny Mota, who was inducted into the Baseball Reliquary Shrine. El barbudo de Brian Wilson made his debut in Dodger Blue! Picture from MSTI blog. at SABR43 attending the Phillie game with Kansas City. Norm and Abby. We missed you Kent! Pool celebration! Dodgers own the West! Greg Sands and I sporting our Mickey Mouse ears. A gift from Greg in 2010 when the Angels hosted the All Star game. Meeting with friends at Dodger Stadium in the offseason. Even in the offseason, candyman James brought us candy. I can’t wait to make more memories in 2014. Have a healthy 2014 full of wonderful memories with family and friends. Looking forward to seeing Vin as tomorrow at the Rose Parade. Me too @petit Mondi. I am heading that way in a couple of hours. I will just Tskd a nap for a few hours. Of all of the 2013 recaps I’ve been seeing the past few days, I really like how creative but simple this recap is. It tells a cool, skim-able review of the year. Hopefully 2014 can be a great year for you and all of Dodger nation. I think that this is a very cute article you have here! header of your article:”2013 A Year in Picturess � Dodger Blue World”? Very great post. I just stumbled upon your weblog and wanted to say that I’ve truly enjoyed surfing around your weblog posts.